Will Carmelo return to form with the Houston Rockets? Carmelo Anthony recently signed a one-year, $2.4 million contract with the Houston Rockets. 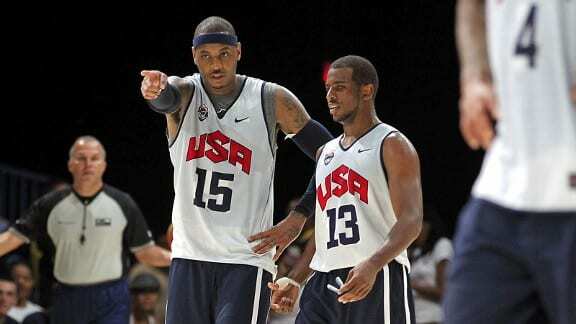 Melo joins a loaded roster, highlighted by 2017 NBA MVP James Harden, and All-Star point guard Chris Paul, in the hopes of bringing a championship to the city of Houston. Anthony’s stats have steadily declined in recent years, but his only season with the Oklahoma City Thunder was by far the worst of his career. Last year, he saw his averages drop across the board, including a career low 16.2 points per game, with a measly 40.4 shooting percentage. Anthony has always been the type of player to take on a big role for his teams on the offensive end. But sharing the court with Russell Westbrook and Paul George did not bring out the best of him. Westbrook’s reputation as a ball hog and stat chaser could have played a factor in Melo’s declining numbers, in which case, there is chance he improves his numbers next season in Houston. But the same adage could be said about new teammate James Harden, who also has a tendency of playing isolation basketball, looking to shoot first, second, and third. Harden is as talented as they come, but I’m not sure it will help Melo to be on a team that doesn’t share the rock and runs the offense primarily through their existing two stars. The good news for Anthony is that he gets a fresh start, and he has the potential to return to form now that he is on a leading contender for the NBA title. There have already been rumors that he could come off the bench in Houston, and provide a change of pace for the team, particularly when the offensive rhythm slows down, as it happened in the Western Conference Finals against the Warriors last season. But not only does it not make sense for the Rockets to let Melo ride the bench, I don’t think Anthony should agree to take the back seat that some feel he should. Anthony needs to get his mojo back, and the best way to do that is to be flat out rude. In other words, demand the ball and show the world you still got it. 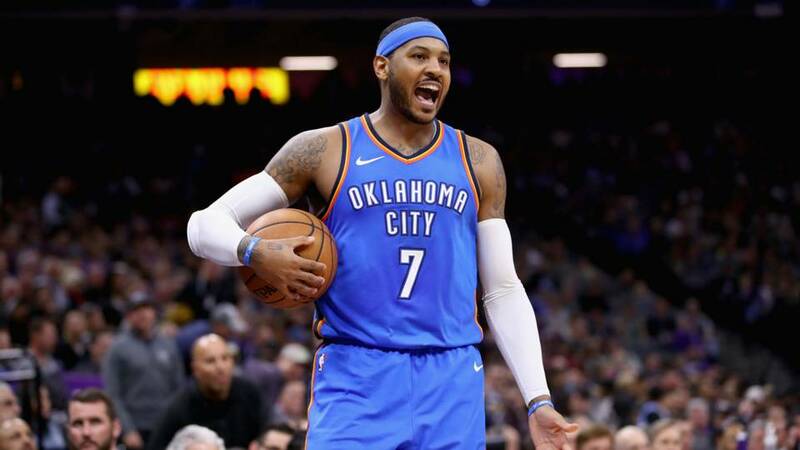 A player of Melo’s caliber should still be able to contribute in a big way, and the more he proves that he can take over games, the more his teammates will be open to letting him take that responsibility. Hopefully Harden took a long look at the game film from the aforementioned conference finals, in order to realize he can’t do it by himself. For all of the regular season achievements he had last year, none of them matter when he couldn’t overcome a relatively modest Warriors squad (by their standards). Once Chris Paul went down with an injury, the Rockets were completely lost. Enter Melo, who has the ability to give Houston that third gear when the team is lacking their typical offensive firepower. 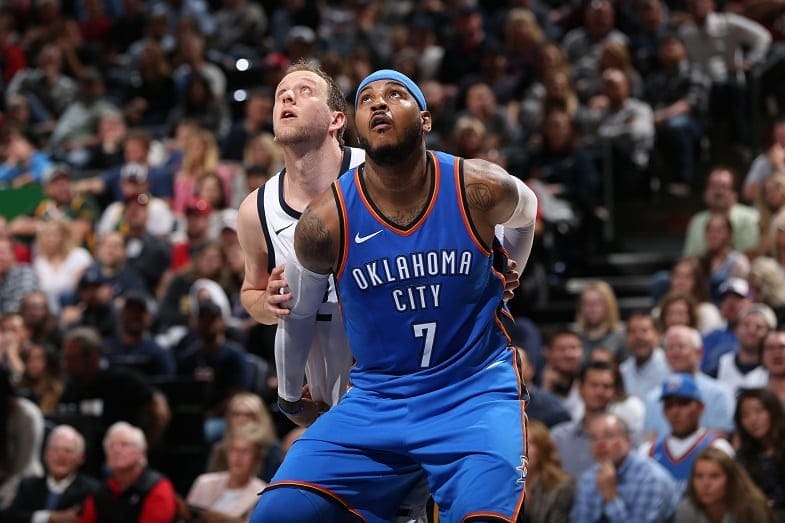 In a goodbye letter to OKC, Anthony recently said his “story is far from over,” referring to his basketball career, and the fact that he still has a lot to give the game, regardless of where he plays. And we shouldn’t write him off just yet. Yes, his stats have underwhelmed in recent years, but recency bias is playing a big role here once again. As mentioned, even an extremely lackluster season for Melo still translated into over 16 points per game. Any improvement in his game will almost surely result in getting back above the 20.0 points per game mark. And if he is able to establish a rapport with this new teammates, we could be looking at a return to form for the ten-time All-Star.